If you follow my beautiful friend Rene over on My Simple Kitchen, then you may have already seen these ridiculously delicious looking brownies. For those of you who don’t follow her, YOU SHOULD!! She makes really, really good food, and her recipes are easy to follow and have become some of mine and my husband’s favorites. I highly recommend the Sriracha Salmon, and the Crockpot Buffalo Chicken Sandwiches. OK, now that I’ve made you all hungry from talking about my favorite foods…. I pinned an image on pinterest last week of “Mound Brownies” but when I clicked the image it wasn’t attached to any recipe or blog, or anything. Naturally, I commented on the image and begged Rene to create a recipe for me. Ahhh the perks of having super talented friends! Rene knows I’m not the most “chefy” person, and easy is always better for me, so she was kind enough to make this recipe idiot-proof. If you’d like to make these drool-worthy, Mound Brownies, grab the recipe here. If you want to see more of the things I think are “pin worthy”, follow me on Pinterest. You can also follow My Simple Kitchen here. Rene and I share a food board, and its full of yummy recipes like this one, so make sure you check it out if you’re looking for new meal ideas. I hope you all had wonderful weekends. We spent ours at IKEA buying a few items for my husbands new work office (that place is like a grown-ups playground, and I loved every second of it), and then we finally put up our tree. It feels so good to knock that off my to-do list. Woohoo! While we were being oh-so-festive, I made the most delicious milkshakes that I’ve ever tasted. 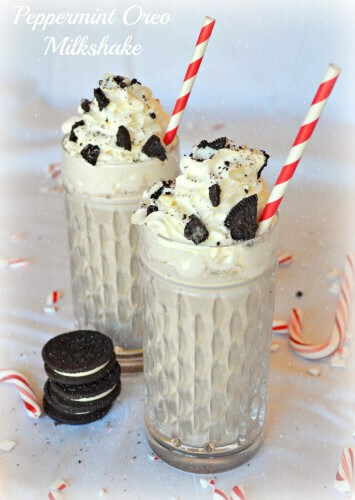 If you like oreos, and a little dash of peppermint, then you’re going to L-O-V-E these shakes. My daughter was chugging hers so fast we kept having to take it away and make her take breaks to avoid brain-freeze. It only requires 5 ingredients, and takes 5 minutes to make. Can’t go wrong with that, can you? I would also HIGHLY recommend adding some liquor to these. 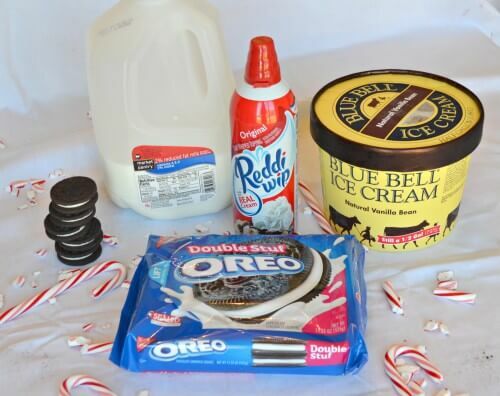 In a blender, add ice cream, milk, oreos, and crushed candy canes. Blend until smooth. Serve in cold glasses and top with whipped cream & crushed oreos. Enjoy! I’m also taking over My Simple Kitchen all week so come say hi! 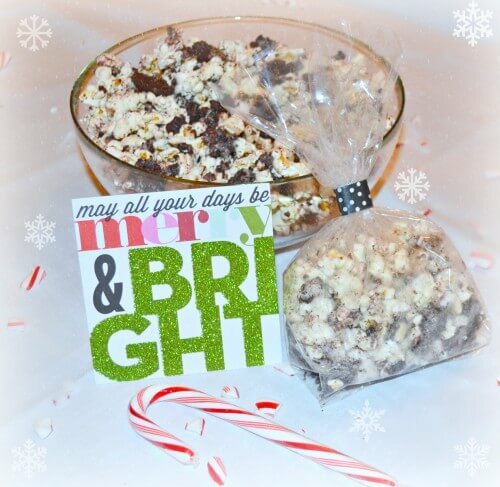 I’m using my leftover oreos to make White Chocolate Oreo Popcorn, and showing you how it can make the perfect gift for friends & coworkers. 3 ingredients, and less than 10 minutes. Have you entered my current giveaways? If not, you still have time. Today’s giveaway is all about the pout. I’m giving away a few of my favorite lip products, including Revlon, Burts Bees, Rimmel, Maybelline, and MORE!! Follow me on Instagram to see sneak peeks at all my favorite lippy products! Today is the last day in my crazy week of guest bloggers, and I’ve saved the very best for last. 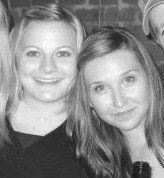 I have Rene, one of my very best friends, guest posting from her blog My Simple Kitchen. She has always been an incredible cook, and I remember when we worked together she would always bring yummy lunches, and I’d be drooling, or she’d tell me about the meal her and her husband cooked on their grill the night before…and I’d be drooling, again! I remember getting to go visit her in Oregon (where she currently lives) and I went by her parents house and saw their beautiful kitchen, and they had a pot rack hanging with the nicest pots and pans I’d ever seen. I’m talking about EXPENSIVE, high quality pots and pans, not at all like the ones I have. They ENJOY cooking, and have passed that awesome quality down to her. Hi all! 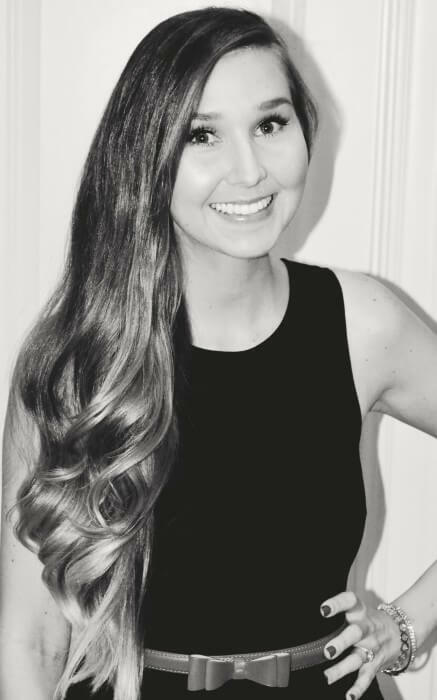 I’m Rene, a brand new blogger over at My Simple Kitchen. 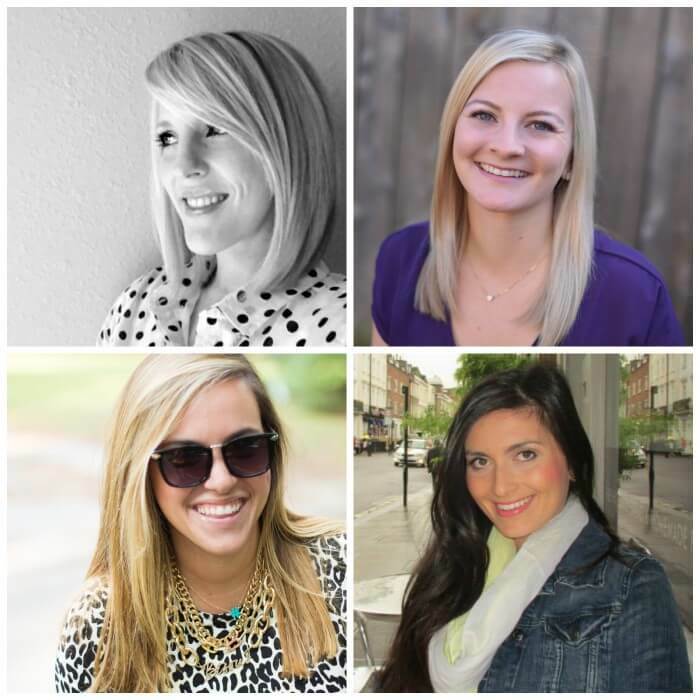 I am so excited to be a guest at Playdates and Pearls today! My goal when I started My Simple Kitchen was to share recipes that are easy to prepare and taste great! I grew up with some awesome cooking from my mom. She always made healthy and creative dinners. But only in the last couple years have I really started to enjoy cooking and was able to appreciate all those homemade meals as a child. With our busy lives of work, family, activities, etc. sometimes it’s hard coming up with meal ideas that are quick, tasty, and don’t break the bank. This meatball pasta is super easy, takes under 30 minutes, tastes great, AND costs under $15.00! Roll sausage into meatballs. Or, if you’re using links like I do, pinch desired size meatballs out of casing. Heat olive oil in skillet on medium heat. Sautee onions and garlic until tender. Add meatballs and cook until done. 5-7 min each side, depending on size. Cover and simmer on low for 20 minutes. Serve over noodles and top with parmesan cheese. If you’re staying away from carbs or just want a lighter version, use zoodles instead. Total cost for this meal for 4 = $14.39! Thanks for reading and come see what Samantha whipped up in her kitchen! If the picture of Rene, wearing her purple gloves, squeezing that “sausage” doesn’t make you cry from laughter then you need to scroll back up and look again. When she e-mailed me, I nearly lost it. She told me she took a TON of photos trying to not make it look so “nasty”. HA! Rene and I are teaming up to bring you a very exciting GIVEAWAY! You can enter to win “The Can’t Cook Book” and a beautiful Anthropology Apron below. Scroll to see photos of both prizes.